When the Pulitzer Prizes were announced in April, the prestigious prize for public service was awarded jointly to the Guardian and the Washington Post for their role in breaking the series of stories about vast government surveillance across the western world based on documents leaked by Edward Snowden. 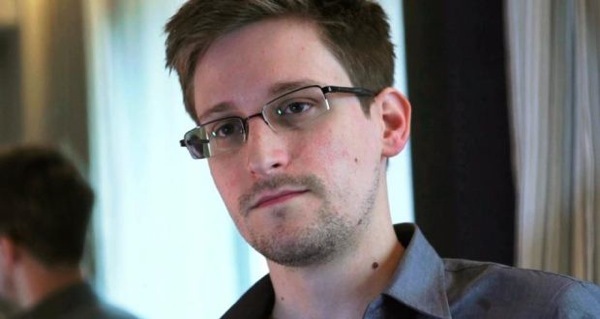 The award was obviously a recognition of the editorial courage shown by these papers in the face of intense governmental pressure; it was also a vindication of Snowden’s act of whistleblowing. But beyond that, I can’t help but read the prize as a potent symbol of how journalism is changing, and feel it will come to be seen as a key turning point in the news industry, not just because it rewarded a hugely important display of journalism, but because of what it left unacknowledged. The Pulitzer committee glossed over the process by which the stories came about, a process that speaks volumes about how journalism is changing. After all, Snowden didn’t actually approach those papers with his material – he specifically chose three people he trusted with the evidence he had obtained: Glenn Greenwald, Laura Poitras and Barton Gellman. Of those, only Gellman comfortably fits the traditional definition of “journalist”; Poitras is primarily a documentary film-maker and Greenwald forged his reputation as a fearless, defiantly opinionated blogger first on his own site, then at Salon.com, before moving to the Guardian. The distinctions, particularly in Greenwald’s case, were endlessly debated at the time, largely in an effort to cast aspersions on the integrity of the reporting, and yet it is the very elision of those distinctions that makes the Pulitzer so symbolic. Snowden’s choice of individuals whose work proudly espoused a clear ideological position over established publications anticipates a much larger shift in the dynamics of modern journalism. Readers also are increasingly putting their trust in individuals rather than mastheads. This pattern has only been emphasised by a remarkable number of prominent US writers leaving established journalism outlets for new digital ventures. Within months of breaking the Snowden stories, Greenwald left the Guardian to set up a new journalistic endeavour funded by Ebay founder Pierre Omidyar, and that was only the most high-profile example. The migration included statistics guru Nate Silver, decamping from the New York Times to set up FiveThirtyEight.com; prominent policy writers Ezra Klein and Matt Yglesias departing the Washington Post and Slate respectively to set up “explanatory journalism” site Vox.com; and most recently finance writer Felix Salmon bidding adieu to Reuters and joining US cable channel Fusion. These moves are all enabled by the disaggregation of the news business, and they reveal some dramatic realities about how journalism is changing in the digital age. For a start, the disruption goes much deeper than the erosion of the traditional newspaper business model – it extends to the very way the news is written about. It is significant that most of those writers who are striking out on their own established their voice, built their reputation and earned their readers’ trust by blogging. For something that was until recently sneered at by traditionalists, it is now undeniable that blogging will have a transformative impact on 21st-century journalism. Related to the rise of distinctive voices offering context and analysis is the declining currency of so-called “objective” reporting, or what New York University journalism professor Jay Rosen calls “the view from nowhere”, which he describes as “a bid for trust that advertises the viewlessness of the news producer”. The notion of truly “objective” reporting has always been a convenient, though noble, conceit, as most readers well understand – it is fairness and accuracy that underpins authority in journalism, not some illusory notion of having no opinions. And in an age where readers look to specific writers, with honestly acknowledged opinions and perspectives, that conceit begins to lose some of its perceived value. As Greenwald put it in a debate with former New York Times editor Bill Keller, “disclosing rather than hiding one’s subjective values makes for more honest and trustworthy journalism”. Greenwald’s approach signals an assault on the traditional barrier between “reporting” and “comment”, and is reflective of fast-changing reader expectations of how the news is written about. This brings fresh challenges for news organisations geared towards covering the news on an iterative day-by-day schedule. Which is why the Pulitzer for the Snowden revelations represents a tipping point, of sorts: it was an explicit recognition of the vital role played by traditional news organisations, while failing to acknowledge that the episode also demonstrated how dramatically journalism is changing.